I have cleared my cache and restarted my browser, so I hope to have better luck with the Internet now. Today we have another sea day on our way to Thailand. It's a good thing too, since I have developed a head cold and need the day to recuperate. I went to the ship doctor this morning and got some cold medicine, so I should be ready for touring again by tomorrow. This is the photo I was trying to upload yesterday. The Merlion statue is shown at the right and the crazy, the 55 story Marina Bay Sands hotel/casino on the left. This 3-tower building with the ship on top is quite a distance across the water from where I was standing, so size is deceiving. I've included a link to the best article I found about it. Our last stop yesterday was at the Singapore National Orchid Garden. 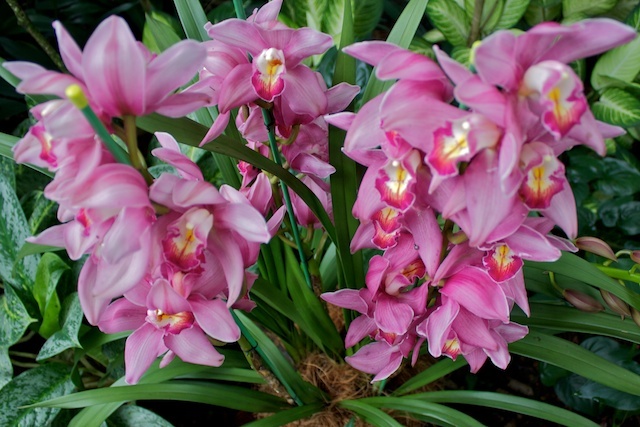 They claim this is the largest display of tropical orchids in the world. The gardens were started in the 1860's. We saw lots of beautiful varieties of orchids, framed by wonderful palms. 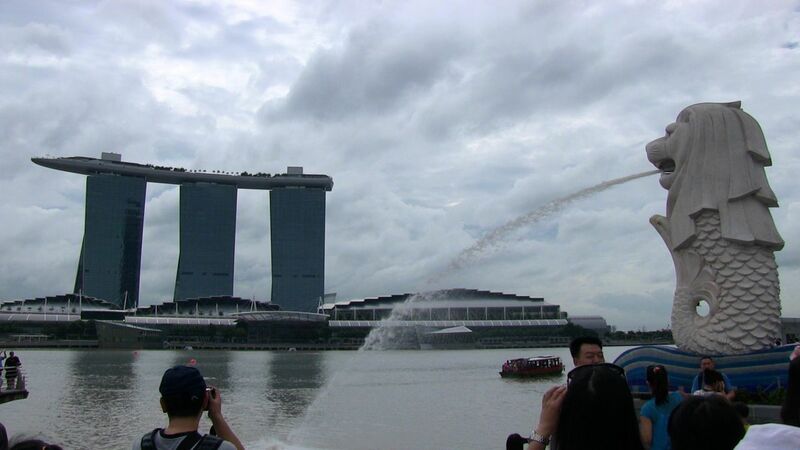 As you can see from the photo of the Merlion and Marina Bay Sands, the sky was overcast all day. We got sprinkled on a little and the guide handed out ponchos for everyone, but it never actually rained. 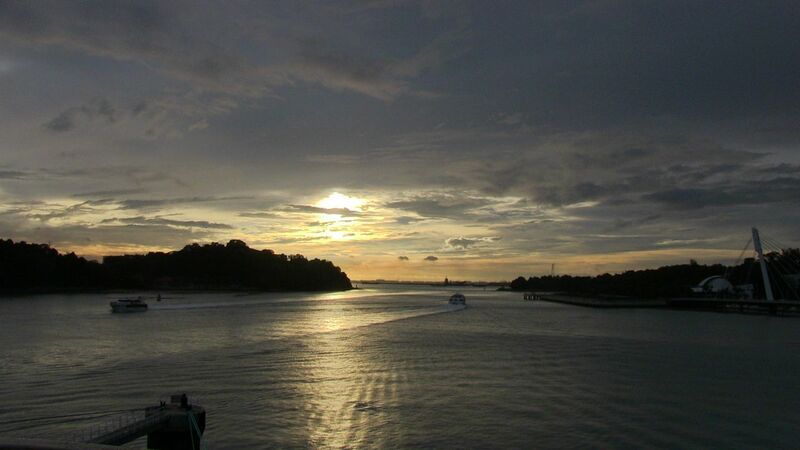 We got back to the ship about an hour later than originally planned, but well before departure time. A few people opted to get off the bus in Chinatown and explore more on their own. I'm assuming they got back on time too, since we sailed away from the harbor on time at 9PM. We had dinner sent to the room last night because I couldn't stop sneezing. That gave us the added benefit of being able to watch a gorgeous sunset from our balcony, looking out the harbor. Regent cruises just came out with their schedule for Spring-Summer 2014 and they have a Norwegian cruise. We have decided to cancel the Norwegian cruise we were going to take on Holland America in August and book the Regent cruise instead. That will give us more time to settle into our new home. We are going to talk to the on-board cruise consultant this afternoon.